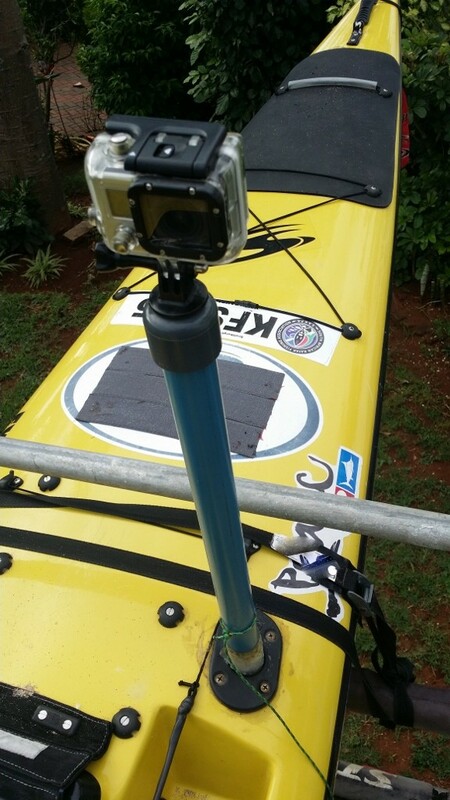 The above is where the standard GoPro fitting slots into. This bit is tricky to manufacture. 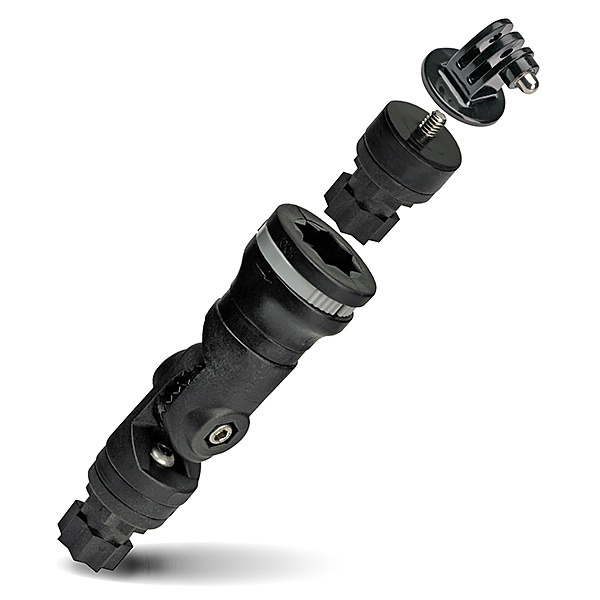 The bottom bracket is adjustable for any angle and can bolt into the Jetski floor if required. Codfathers seal of approval…….OK but there are better options. 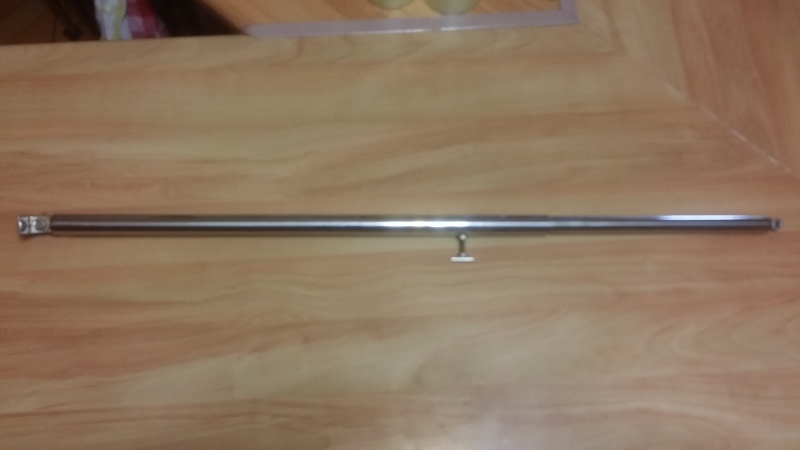 Firstly I commissioned manufacturer to make a Stainless steel telescopic pole out of marine grade stainless steel which was then electro polished. Wow that’s a mouth full it basically means that even in the harshest of conditions it will not rust and will look new for years. How do I know that? 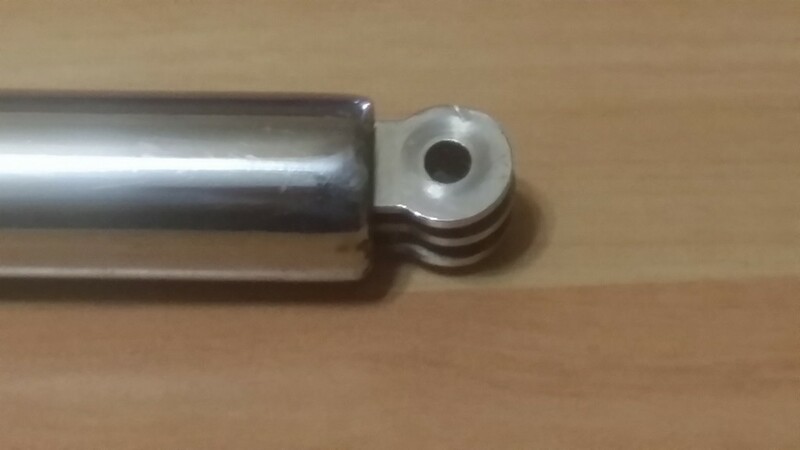 Because I used it for two full seasons of fishing on a Jetski without polishing it and today I polished it quickly with Brasso and it looks as good as new. Codfathers stamp of approval for electro polishing! This type of mounting can be mounted onto a Jetski not a Kayak as it is far too heavy. 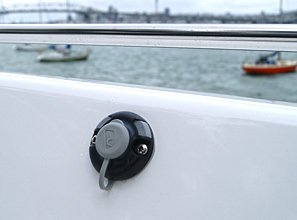 You can mount it on the front of your Jetski or on the back attached to your stainless steel safety cage. Available from……………….. Codfather can get them manufactured or ask me for dimensions and you can have them done locally. This is the StarPort adapter to which accessories fit including the camera mounting. 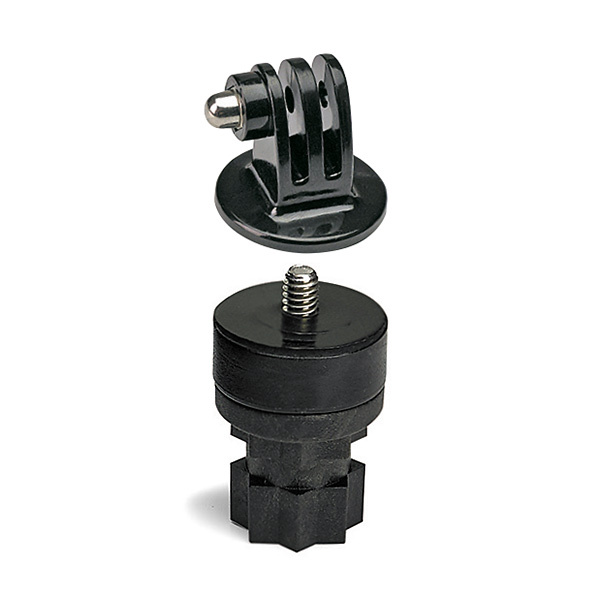 This is a RailBlaza Swivel mounting that can be fitted stright into a StarPort adapter for low level angle filming and photographs, Alternatively it could be mounted on a pole to change any angle…Ideal! RailBlaza make a standard fitting called a “StarPort” which is a modular system to fit all sorts of gadgets from cup holders to rod rests and everything in between. Patrick from Racetech Yamaha kitted me out with a RailBlaza 600mm pole and a mounting base which the GoPro camera can fit into. 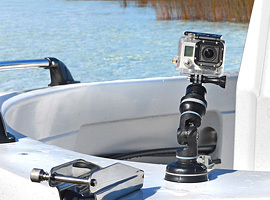 This really is a nice and neat setup which you can position anywhere on your Kayak or Jetski. Dont forget you can also add any of the many fittings to your standard StarPort adapter. 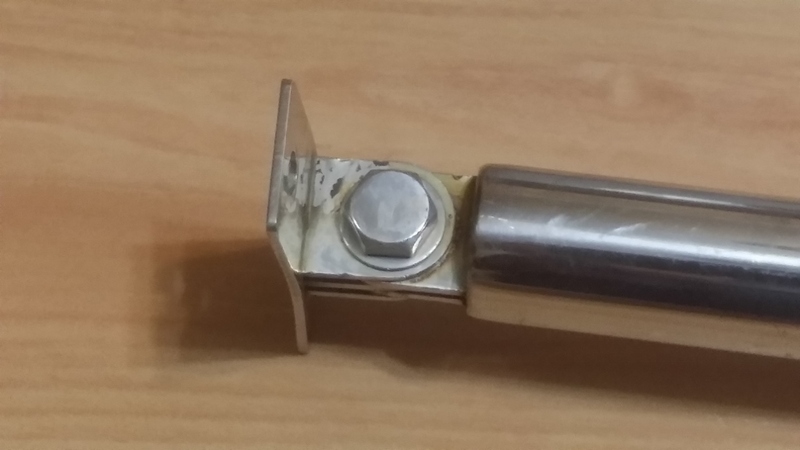 RailBlaza also now have some very neat GoPro camera fittings which I have not tested but I have listed above. All fittings are very high quality. Available from……………….. Racetech Yamaha in New Germany, Durban. Codfathers seal of approval…….A definate yes for the mounting and pole. A simple leash made from high strength thin rope and a stainless steel clip. Yes guys there has to be a budget version and to be honest it works amazingly well. Credit to my mate Muir for this design as that is where I got the idea from. It works extremely well and gives very steady footage. 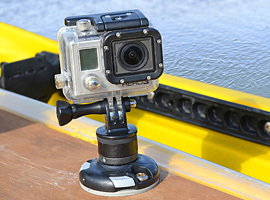 It can be swivelled 360 degrees and can be removed quickly to film underwater. 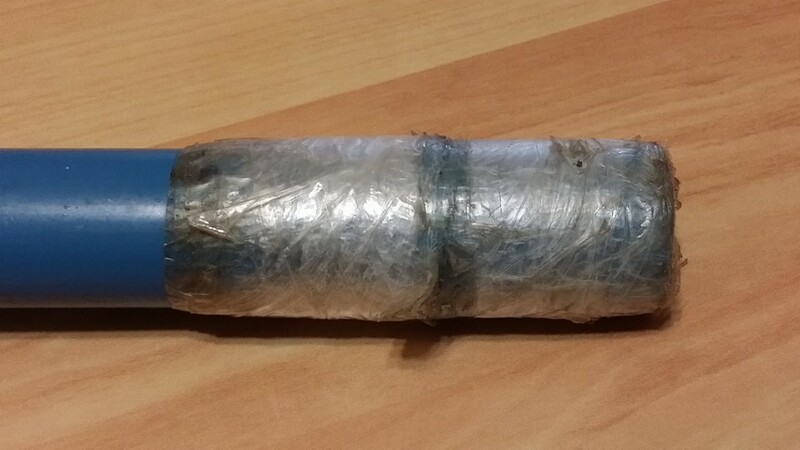 It will fit into a standard plastic or stainless steel rod holder and then just add some tape (Yeah I know Mark Reeves that sounds a bit cheap) maybe heat shrink, but anyway the tape works great. Just keep increasing the amount of turns until it fits snug into your rod holder. 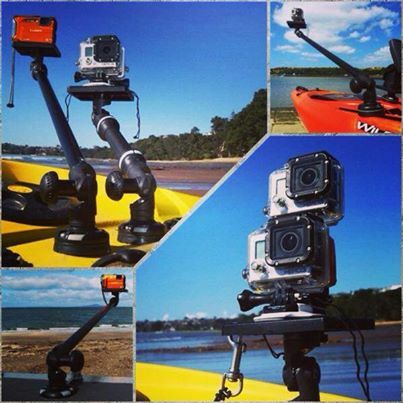 To make this pole you will need to purchase a GoPro Tripod mounting. 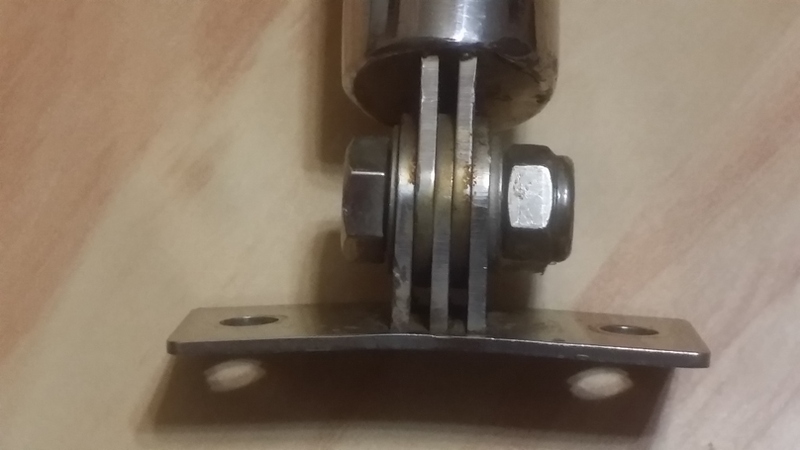 The thread on the bottom is 1/4 so will need a short 1/4 thread bolt to match. 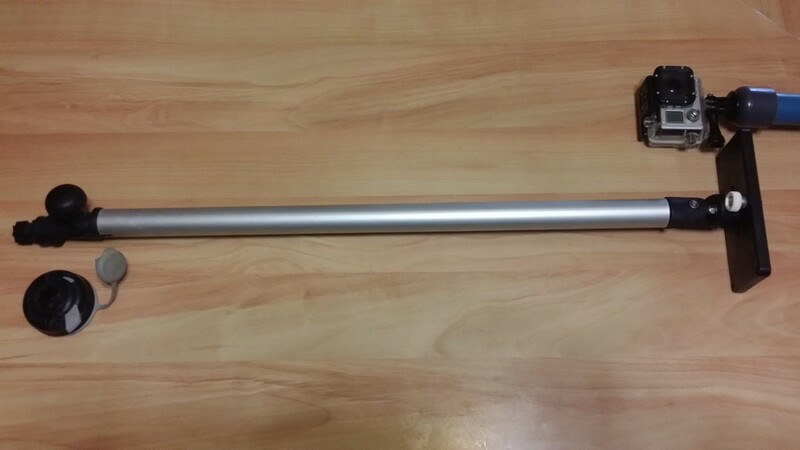 You will then need a blanking cap and some 32mm pvc pipe. Drill a hole in the centre of the blanking cap and screw the bolt from the inside of the cap into the GoPro Tripod Mounting. 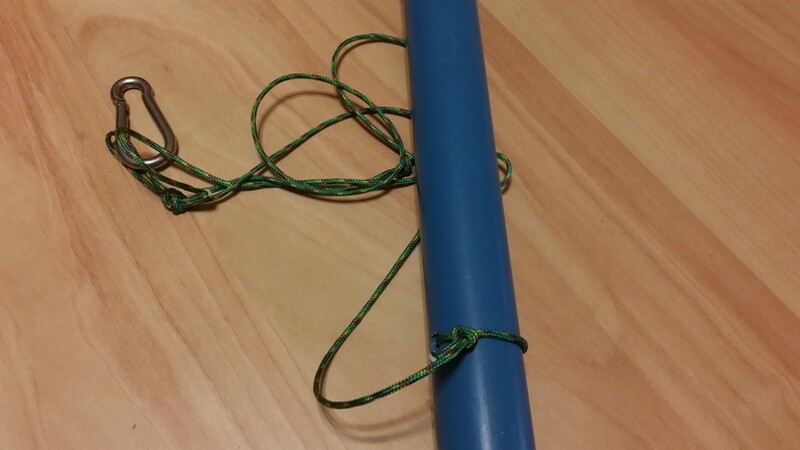 You will then just glue the cap onto your pvc pipe with some pvc weld glue. Eish how will you then get at the bolt if it comes loose? dont worry after months of use mine never did come loose. 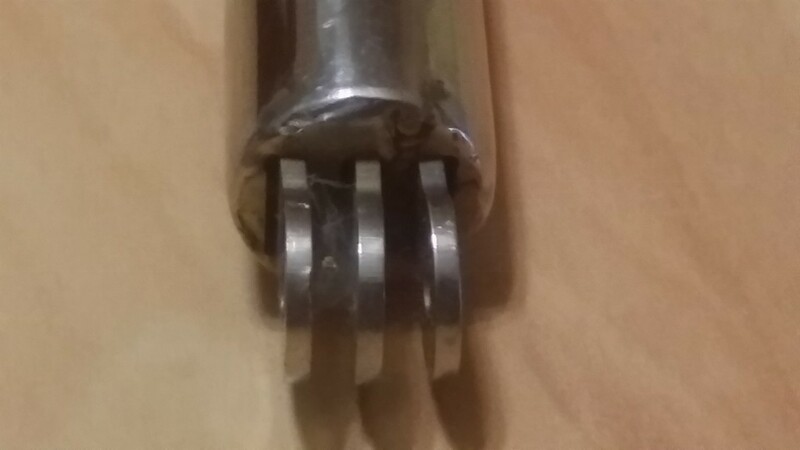 If it does come loose you could use a long socket and extension down the pipe or just use thread lock in the first place to stop it coming loose. 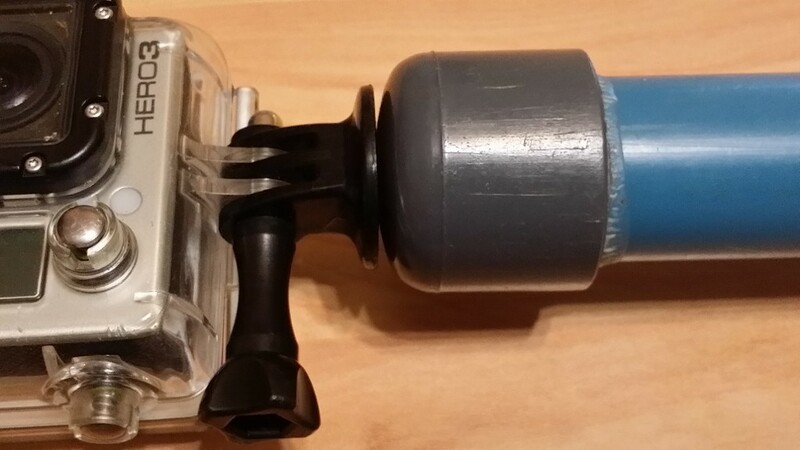 Codfathers tip…… What I did notice was that on the tripod mounting the camera tilts further one way than the other which creates a betetr angle to film underwater. Dont worry which way you film because if you film upside down the free GoPro software will easily turn your footage up the correct way. 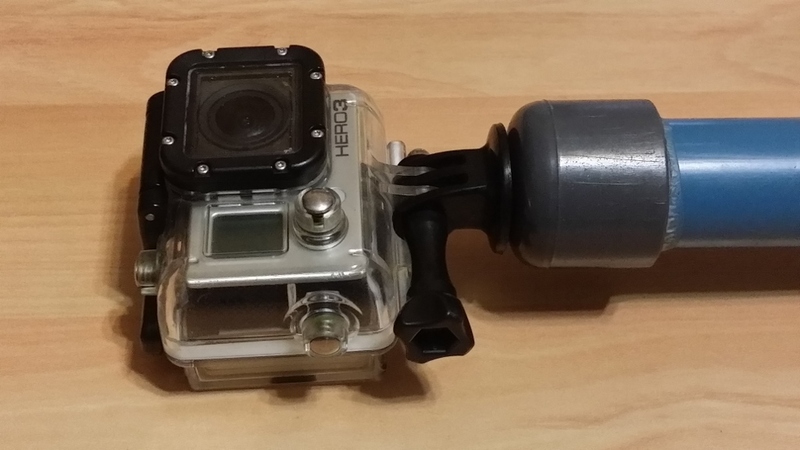 Codfathers second tip…..Use a leash or loose your GoPro!!! Codfathers seal of approval…….A definate yes, cheap and cheerful works a treat. Available from……………….. Make your own or if you really can’t contact me and I will make you one for a huge amount of cash.